This is a story of a boy who was born in Opa, Goa, a remote village in India, where there were no roads, no electricity and no schools. So his parents sent him to his aunt’s house for schooling. After his middle school he left Goa and went to Pune, a city in India known as the “Centre of Education”. 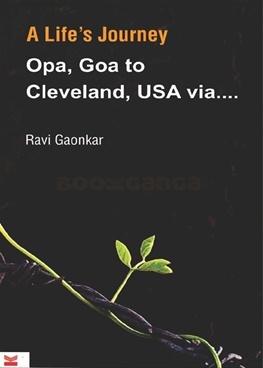 There he completed his high school and earned a degree in engineering, then went to the USA with a Govt of Goa scholarship and eventually reached the pinnacle of success. He was a shining example in his school and college days as how to overcome the toughest adversities, financial as well as other types, on the strength of single-mindedness, will-power and hard work. Without those traits, he could not have found his way across the oceans to become a businessman in America. In addition he became an unofficial cultural ambassador of sorts between India and his adopted homeland with active engagement. It’s been a long journey for this son of a middleclass agriculturist in that small Goan village. Readers will find this journey very interesting and inspiring. Great and Motivational Book !!! प्रेरणादायी पुस्तक आहे. सर्वांना नक्की वाचायला आवडेल असे हे पुस्तक आहे.